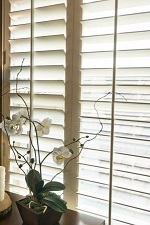 Timber Venetian Blinds are a classical, refreshing and natural alternative for both modern and traditional architecture. Providing a warmth that will add real value to your home. Our Timber Venetians are finished with traditional pelmets and, we use only the best components. It provides a warmth that will add real value to your home. Timber Venetian Blinds combine versatility and light control that only venetians can provide with the richness of real timber. Our Timber Venetians are finished with traditional pelmets and, like all our products, we use only the very best components. There is nothing quite as captivating as windows and doors dressed with Timber Venetian Blinds! Wide colour choice:You can select from the beauty of natural timber in various colours of WHITE, WALNUT, OAK. *Heavy-duty headrail & component: have peace-of-mind knowing you will have years of trouble-free operation due to the strong headrail and component. *Insulation: Timber has excellent insulation properties and will help keep you cool in summer and retain the warmth in winter. Enjoy the rich warmth that comes with installing real timer venetian blinds in your home. 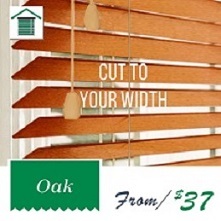 The 50 mm basswood range is available in three colour, and boasts quality craftsmanship, heavy duty components and operating mechanisms, resulting in superior quality timber blinds you will enjoy for years to come. 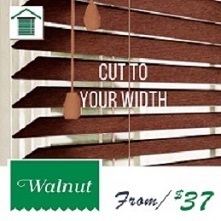 Custom Venetian Blinds offer the perfect solution for any room in the home or office. 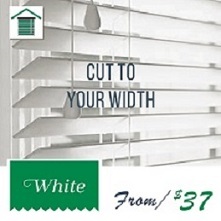 The maximum width per single blind is 2400mm. 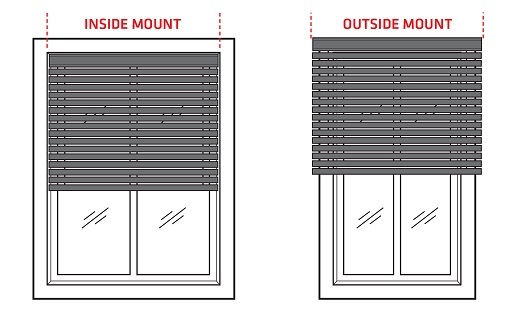 The maximum drop (length) per single blind is 2100 mm. Standard control position tilts is on the left, with the standard position for the lift cord on the right. Manufactured with quality plantation Basswood Timber, the Basswood Timber Blind is available in a 50mm slat, with a variety of warm timber stains. 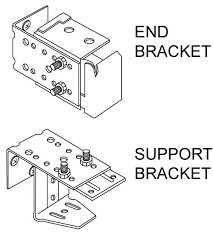 Align the brackets on either side of the window frame. Check to ensure they are aligned evenly and are straight. A spirit level is a great way to check this. Using a pencil, mark the screw holes on each bracket. Use your drill to drill a pilot hole. 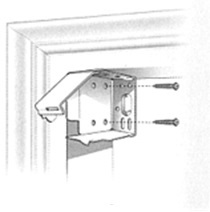 Push the blind towards the window and into place, ensuring you securely clip the blind into the bracket. Lower the blind. This is so you can add the child safety device. Cut to size avaiable at $40 per cut. Postage: We are always happt to combine postage if you purchase more items.